Whether your little ones missed their school photos, you simply didn't like the ones taken or want to get siblings together in uniform visit my studio to get fantastic school photographs to share with friends and family! The session will be relaxed, with plenty of time to get natural smiles and I offer a free re-touching service for bumps and grazes! 3 6x4 prints in presentation folders. 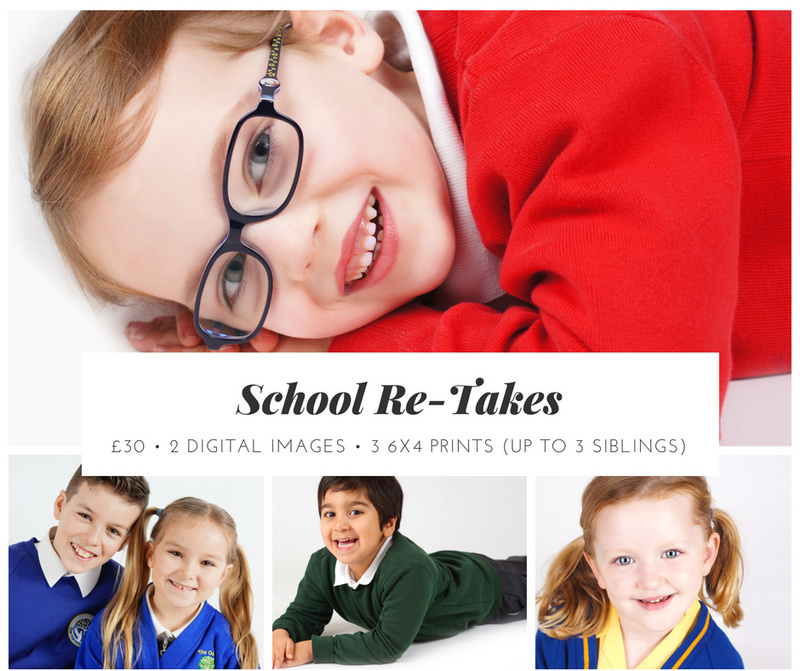 To book your 'School Photo Re-Take' session contact me today!